provides a fundamental analysis into PROFIBUS network behaviour and plenty of techniques for troubleshooting, commissioning and maintenance on operational PROFIBUS DP and PA systems. It is for engineers and technicians involved in commissioning and maintenance of PROFIBUS installations. With networks being installed at the field level, a multi-meter is no longer sufficient. Technicians and engineers need to know what fieldbus engineering tools are available and how to use them for device and network parameterisation, analysis and diagnosis. This book is intended to fill the gap. 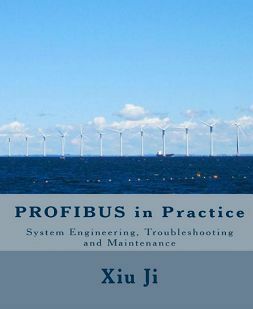 Written by Dr Xiu Ji and published by Manchester Metropolitan University, the PROFIBUS in Practice series consists of four parts. Part I covers the installation of PROFIBUS devices and cables. Part II looks at PROFIBUS system engineering, trouble-shooting and maintenance. Part III will cover PROFIBUS system design while Part IV will address PROFIBUS operation, protocol and applications. After booking a place on one of MMU’s PROFIBUS Commissioning & Maintenance courses or Certified PROFIBUS Engineer courses, students are posted a copy of the textbook which is used for preparation and revision. The book is also available to order from Amazon. Click here to order PROFIBUS in Practice Part II.